Several months ago, I published a blog post encouraging readers to Eat Protein and Produce at Every Meal. Eating lots of produce — fruits and vegetables — is beneficial to our health and wellness. 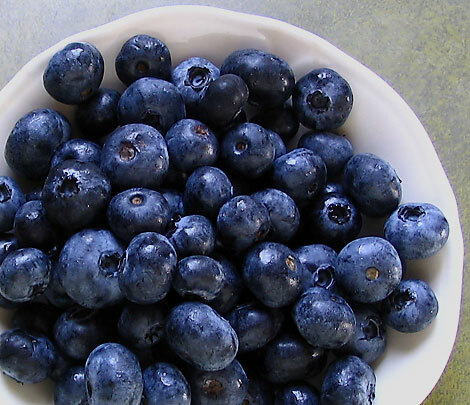 Some fruits, such as blueberries, are higher in nutrients than others. Blueberries actually contain more antioxidants than any other fruit. Antioxidants help prevent damage to the body’s cells and strengthen its immune system. In season, fresh blueberries are great — in cereal, oatmeal, salads, and blended into smoothies and shakes. I keep a big bag of frozen blueberries (from the local wholesale club) in my freezer all year-round. They’re every bit as nutritious as fresh blueberries, according to the experts, and convenient to use however and whenever you choose.